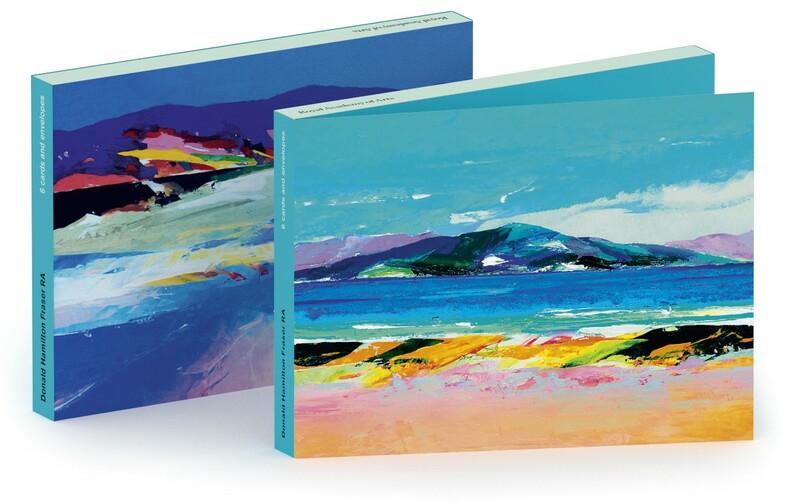 'Notecard Wallet' from 2 paintings by Donald Hamilton Fraser 'Western Crete, 2008' / 'Beachscape Sutherland, 2003'. 170x 120mm x 6 (6 cards of 2 designs). Published by Art Press. Recycled and/or FSC approved materials.